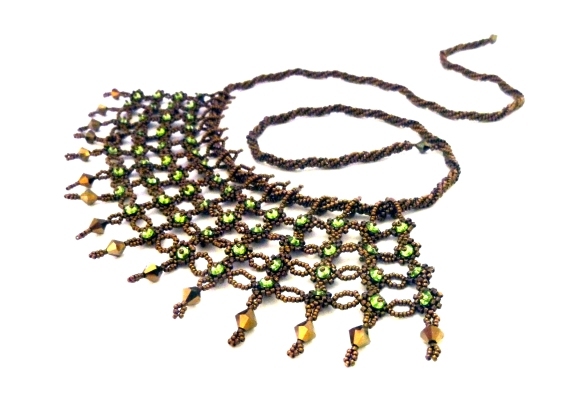 This reversible necklace, the second piece in my Jaipur Jewels Series, is reversible- an idea that only came to me as I beaded this piece. The piece has a different colour of crystal on each side so that the whole necklace can have a different look when flipped. It is threaded onto a beaded rope but can be taken off to be worn on something else instead. Instructions for all of these can be purchased here.